In January of 2018, Pastors Ben and Judith Hakalitz were installed as Senior Pastors of Living Light Gospel Church Cairns, being handed the baton by our Founding Pastors Bill and Corrie Page. Pastor Ben is also a local musician and well known for his work as a drummer with Australian ARIA Hall of Fame recipients Yothu Yindi. Ben has a heart for the people of the city and along with his wife Judith share a passion for seeing people come to the knowledge of God. Pastor Ben also serves as our Music Director. Pastor Judith serves alongside Ben and is the leader of our Hospitality team. 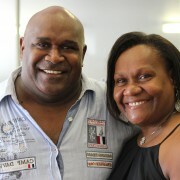 Pastor Joe Pulea has a heart for the lost and has had a burden, for many years, for our brothers and sisters in the Torres Strait, Cape Region and Communities. Beginning with outreaches in Napranum last year, Papa Joe has a heart to work with the local churches to see them come into the fulness of what God has for them and to see the lost saved and set free. 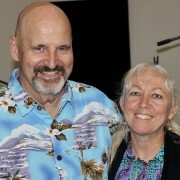 Pastors Jason and Grace Salawagen were installed as Youth Pastors of Living Light Gospel Church Cairns, in August 2018. Jason and Grace have served with “Youth With A Mission” YWAM for many years as leaders on staff, including bringing teams through Cairns and outer regions. 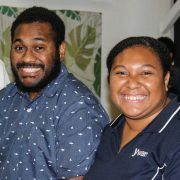 On their last outreach, they felt that the Lord had called them to return to Cairns and work with the Church to reach the young people of the city. Jason and Grace have brought along with them, a wealth of experience and are excited to be a part of training the young people of Living Light to achieve their goals and gain a greater understanding and knowledge of God, through prayer, praise, worship and Bible study. 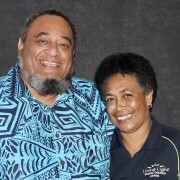 In 2009, after nineteen years serving the people of Papua New Guinea, Pastor Bill Page handed governance of the Foursquare Church mission activities in the Southern Region of Papua New Guinea to its indigenous leaders. In January of 2018, Pastors Bill and Corrie Page, after many years of serving in Papua New Guinea and for the last 5 years as Senior Pastors of Living Light Gospel Church Cairns, retired.